Personalised gifts are always popular as they can be expertly engraved with a message of your choosing. 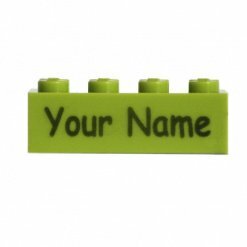 Add a name, message or number to your preferred product chosen from our range and place your order. It’s as easy as that! 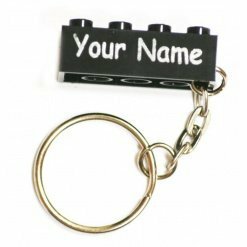 We can personalise any brick or Keyring and we supply a variety of different colours and sizes of brick including 2 by 4 stud bricks, 1 by 4 studs, 1 by 6 studs, 2 by 6 studs and 2 by 8 studs in every colour imaginable from pink and blue through to black and red. 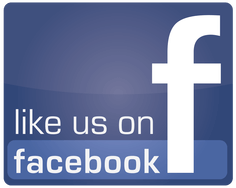 If you don’t find what you want, contact our team and we will see what we can do to accommodate your request. 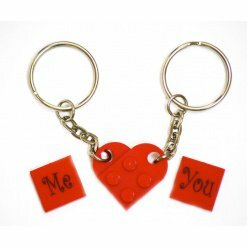 Engraved bricks or key rings make a great gift, a party bag filler or small stocking filler for the kids. 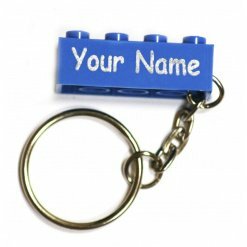 Personalised items can also be useful for kids to help them identify their bags at school or they can be added to house keys too. 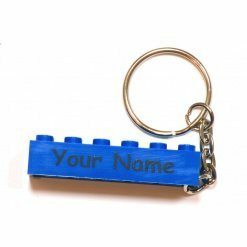 They can even be used as a promotional item for your business as we can engrave your company logo to bricks or key rings and they make a great promotional tool to send to potential or current clients. 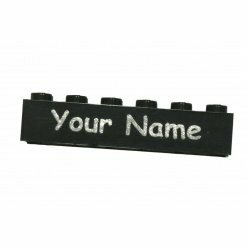 The blocks are great for distributing a strong promotional message. If you want to place a bulk order, please contact our customer service team and they can arrange this for you. 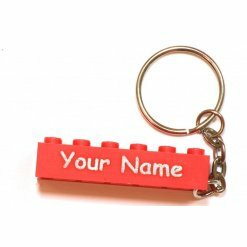 Clients will certainly remember your business if you send them a branded keychain or brick!